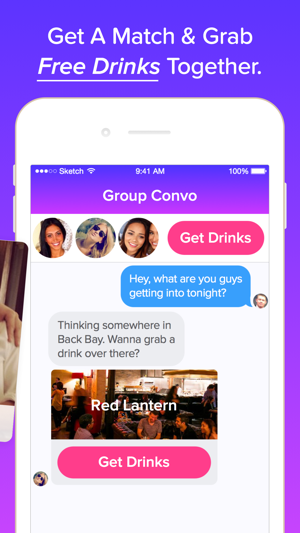 Meet awesome people with your friends, over complimentary drinks. When you go out, the 1st round of drinks is always free! See all the other groups of guys/girls going out near you tonight. 1. 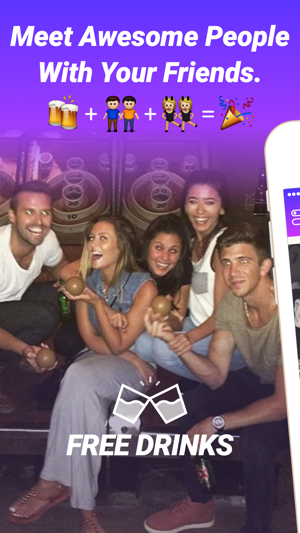 Make a group with 1-2 friends and swipe through all the other groups of friends going out nearby. 2. 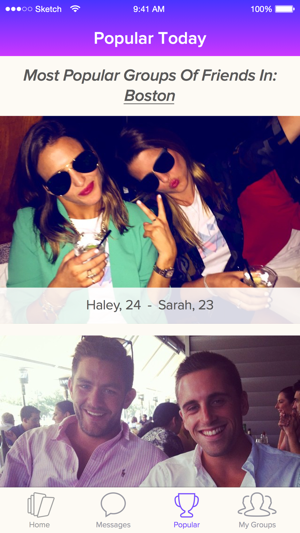 Tap Cheers for people you’d want to grab drinks with - get a match when interest is mutual. 3. 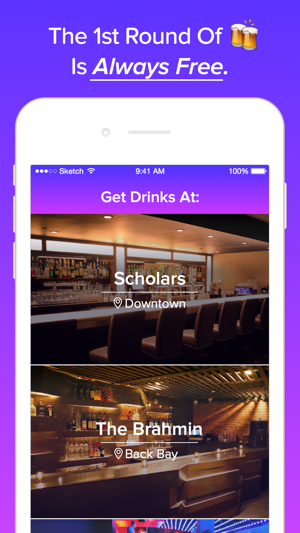 “Pick A Place” right in the conversation and grab drinks together. 4. Your concierge will leave a reservation and a round of complimentary drinks under your name. Cheers! Cheers - Make Tonight Memorable. Questions, feedback, support? Let us know! 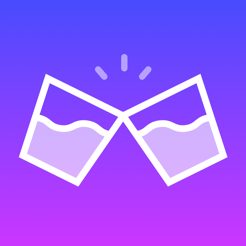 If you like Cheers, leave a quick review! It means a lot. 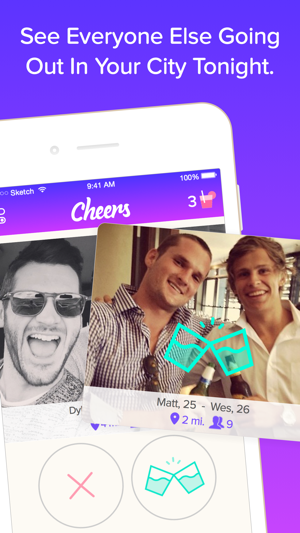 Privacy: Cheers will never, ever post to you or your friends' Facebook. Ever. Period. - On Fridays and Saturdays, see only groups of friends active that day, going out that night. - Tons of new bars to choose from, including many new popular summer venues. - New summer drink options and recipes to try - complimentary! 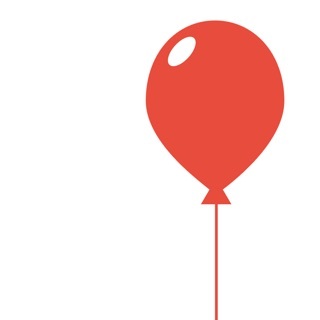 - We've made the app faster than ever. Check out dozens of new summer venues and get complimentary drinks with your friends, featuring new summer drinks from Fireball, like Dragonade, as well as Absolut Elyx - Absolut's new luxury vodka. Order an Absolut Elyx cocktail and it might just come in a copper pineapple! - Squashed some bugs, including one happening for some photo uploads... But you were probably too busy getting free drinks with your friends to notice! Didn’t think they would really pull off the complimentary drinks. I thought we’d get to the bar and they’d be like who are you? But there was a reso. And the drinks were waiting. Would be nice if there were more options than Fireball (I like it, but not every time.